When an idea hits you – you just gotta roll with it! This is for the MFT Sketch 350. 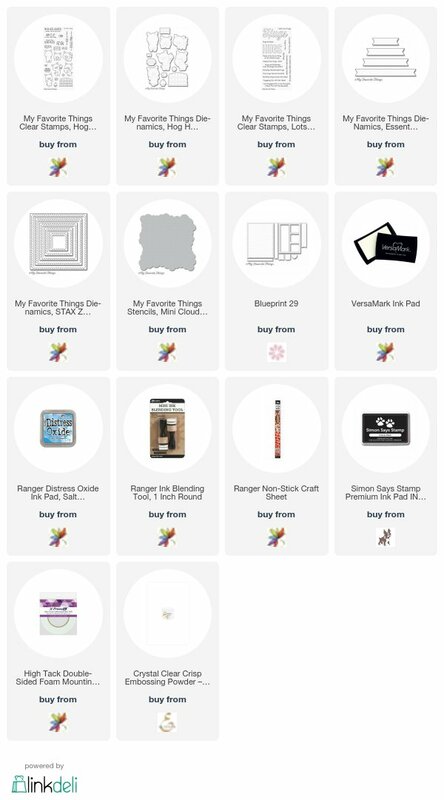 This idea just hit me today and just in time before the challenge ends over at My Favorite Things. You can find more details out about it HERE. I started by getting my background down first which was the clouds. I used the mini clouds stencil and Salty Ocean Distress Oxide ink. 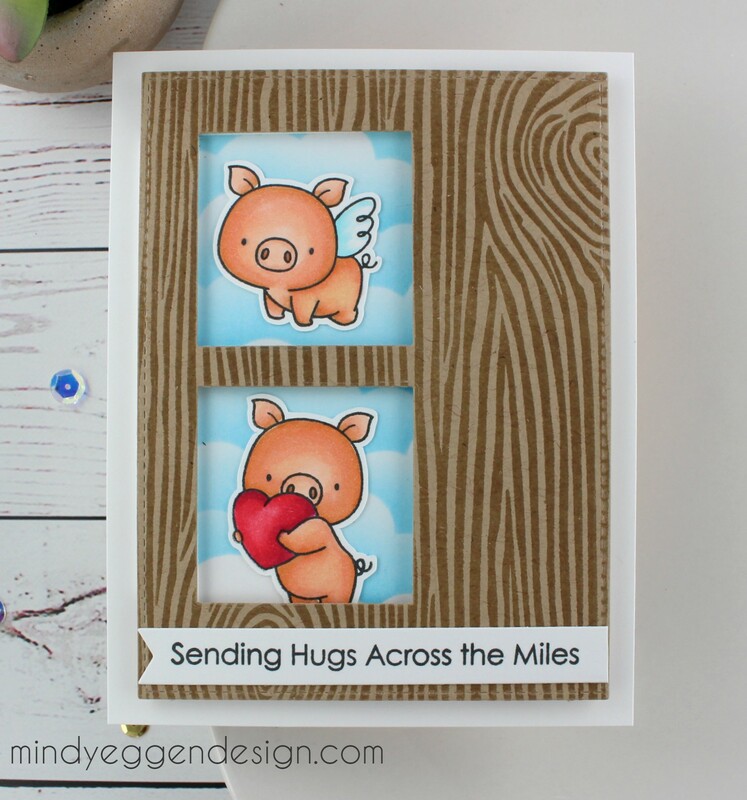 Next, I took a piece of Kraft cardstock and the whimsical woodgrain background stamp. I stamped the background stamp in versamark ink onto the Kraft cardstock and heat embossed some clear embossing powder on it. I trimmed this piece down with the Blueprint 29 die. Then, I cut two squares out of the woodgrain background using the zig zag square stax die. At this point I’m pretty excited because it’s turning out exactly how I envisioned it. 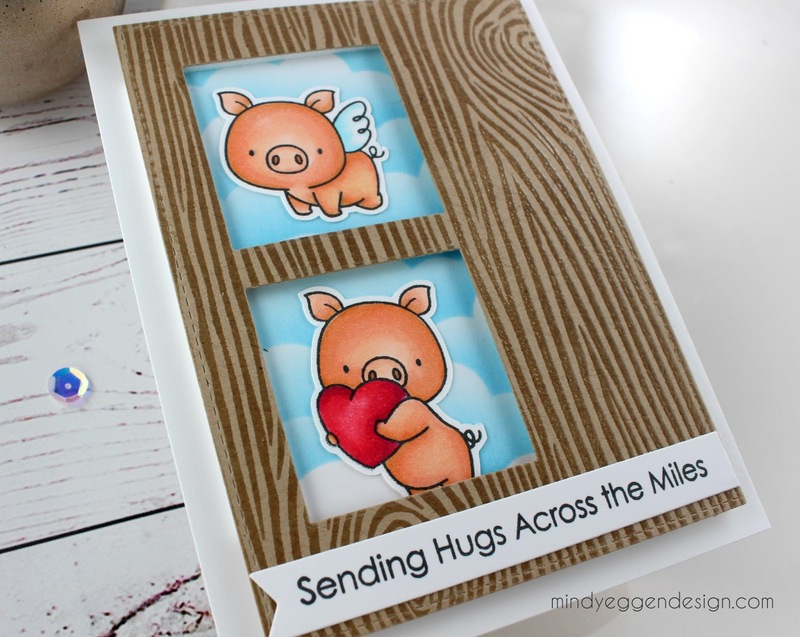 I then colored up a couple piggies from the Hog Heaven stamp set and cut them out with my Scan n Cut. There are also matching dies to this set but I don’t have them. The sentiment is from Lots of Hugs and I stamped it onto a strip of white carstock I cut from the Fishtail sentiment die. 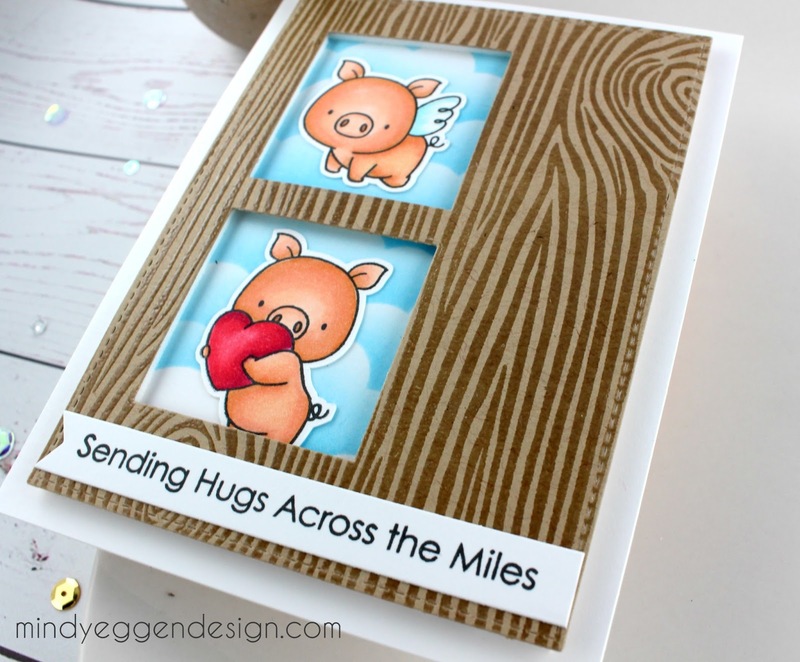 The woodgrain background I added foam tape to and ahered to the stenciled background I created. Then this was added to an A2 size cardbase. My little piggies I added inside the windows I created and finished it off with attaching the sentiment. Super excited this came out exactly how I saw it in my head and that doesn’t happen very often haha! I can't believe how adorable are these little piggies !